New Hanover County Fire Rescue (NHCFR) is a government based fire department for New Hanover County, located on the southeastern coast of North Carolina. The county has a year round population of over 190,000, which increases substantially during the summer months. NHCFR is a combination department consisting of full time, part time, and volunteer staff. 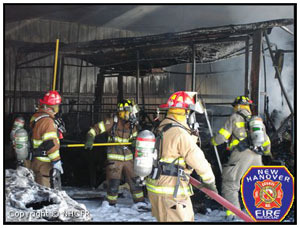 New Hanover County provides fire protection services to the unincorporated areas of New Hanover County. NHCFR responds to an average of over 5500 emergency calls per year which consists of emergency medical, fire suppression, technical rescue, and hazardous materials. New Hanover County Fire Rescue is committed to provide a professional service to the community by protecting life and property through all hazards response and risk reduction. We strive to be a premier customer focused organization regardless of external factors for generations to come.